The past 12 months has seen us work on major upgrades in the Windows area, bringing both apps up to speed on Windows 10. The new versions of the apps are fully compliant with Windows 7, Windows 8 and Windows 10. We've dropped Windows XP support, but at 13 years old, its time to let it go. Smart Converter and Smart Converter Pro for Windows now contain all the features of their Mac counterparts. Smart Converter Pro for Windows now includes all the super-popular features from the Mac, including Movie and TV Show metadata lookup, subtitle support and more. Smart Converter Pro also received the Shedworx conversion engine upgrade, bringing support for H.265, the new HD video streaming codec. H.265 is the codec behind 4K video. The Free Smart Converter also received the Shedworx conversion engine upgrade so it too can now handle H.265 video. The next big thing for our Windows apps is the Universal Windows Platform (UWP). UWP is common runtime environment for all Windows platforms (e.g. Desktop, Mobile, Xbox, etc) that lets a Windows app run on all Windows 10 platforms. UWP will also be the core of the long-overdue Windows app store. By the end of the year Microsoft should have their Windows 10 desktop app store up and running. We've made a number of changes to our Windows apps to prepare them for UWP and the Windows app store. We'll be keeping a close eye on UWP and Windows app store developments though 2016 and plan to be on the new store very early on. The last 12 months have been a busy time at Shedworx as we put together some serious upgrades to the Smart Converter product range. First up was a major upgrade to the conversion engine that powers Smart Converter and Smart Converter Pro. Most of this was behind the scenes work and we now have support for H.265, the new and improved HD streaming video codec, and significantly improved subtitle support. We've also tweaked a few of the audio settings make various format conversions work a whole lot better for Apple Devices. Finally, we've updated the output device profiles to include all the new Apple Devices and set up defaults (e.g. iPhone) to cover off the most popular new phones. We are in the middle of a bunch of major updates to the Shedworx apps and as part of this has included taking a look at all the Shedworx apps. Cosmos - this was our dedicated video manager for HD video but has become too costly to update based on the revenue it was generating. Loops - this was our group photo sharing service which has finally been surpassed by Apple's new Photos service. Photos has delivered on what we were trying to do with Loops back in 2011. We've found Photos to be a great option to store all your photos in the cloud and be able to manage the library from any device. We've been using Photos for a while now and it certainly delivers. mkvWatch - this was our first experiment in the video converter space after Voltaic and has been surpassed in every way by Smart Converter Pro. Dropping these apps means that we can focus our efforts on the core Shedworx apps that deliver the best results for customers. Smart Converter Pro for Mac - an update is underway to deliver a whole bunch of minor improvements for 2015. Smart Converter Pro for Windows - the Windows version of Smart Converter Pro will be receiving the full Folder Monitoring and Metadata lookup features of the Mac version, and Windows 10 support. Music Converter Pro - many bug fixes and minor improvements. miDVD Pro - many bug fixes and minor improvements. We've been working away for the past year on a great new app to take screen recordings from your Mac. You might say screen recorders are common place these days, and we'd agree. So we decided to make a screen recorder that stands out from the rest. Smart Recorder includes an amazing feature called Smart Record mode. With Smart Record mode you just tell Smart Recorder which window to watch and it takes care of the rest. Auto-detects the video playing in a window. Auto-starts when the video starts. Auto-stops when the video ends. No more setting up record regions, waiting for videos to start and keeping an eye on things to stop the recording. With Smart Record mode its set and forget! In addition to Smart Record mode, you also get all the usual screen recording modes - select a region, record a whole window and even the full screen. Get Smart Recorder today from Shedworx or the Mac App Store. The release of OS X 10.9 Mavericks in October 2013 finally brought full support of AVCHD importing and editing to OS X. For the first time, you can import and edit any AVCHD video file in iMovie and Final Cut Pro. VoltaicHD has always bridged the gap between the Apple video editors and the AVCHD format. With Apple now providing full support for AVCHD video, VoltaicHD has had its day. 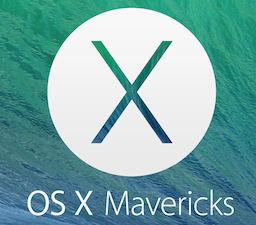 Mavericks also presented us with some major challenges with our conversion engine. It would have been a major development exercise to update our AVCHD conversion engine to work with Mavericks. So, after a great 7 years as the best quality AVCHD video converter on the market, its time to say goodbye to VoltaicHD and RevolverHD. For the past three years, Smart Converter Pro has taken over the number one performer for Shedworx, and continues to be the top ranking video converter on the Mac App Store. Music Converter Pro is also a big winner for us, so we will be concentrating our efforts on these apps from now on. We've also been working on an exciting new project for the past 18 months which is about to be launched in Australia, and then the world. More on this soon! Smart Converter and Smart Converter Pro are now updated for Mavericks and available from the Mac App Store and Shedworx.com. Smart Converter Pro was misbehaving a little under OS X 10.9, mainly with Folder Monitoring being unreliable. We've now re-built both apps for Mavericks and everything is now back running nicely! Smart Converter continues to work for OS X 10.6 (64 bit) all the way through to OS X 10.9. We're working on updates to the full Shedworx product line now. This includes Sandboxing some of the older HD video apps, so will take a little while!